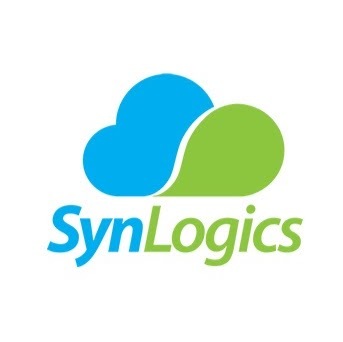 SynLogics is an Enterprise Application and Business Automation Company focused on providing Quality services in cross channel Business Process Automation, Cloud Computing, E-Commerce, Digital Marketing, Web and Mobile Application Development. Mobile design is probably the second thing any business thinks of (the first being functionality), before they head to make a mobile app. And rightly so. Lest you should commit the folly of mistaking design as just an ornamental aspect of a mobile app, we’d like to acquaint with the importance of design. For starters, you must know that design has everything to do with user experience. Any goof-ups with design could mean ruining your users’ experience with your mobile app, increased app uninstalls, depleted revenues, and not to forget, a soiled brand reputation. A sound mobile app strategy, thus, must focus on mobile app design, as much as on functionality. And we have more reasons than one for it. Here are 5 reasons why mobile app design should be at the center of any mobile app builder’s focus. Design is the manifestation of the idea that will reach your users in the concrete form. With the attention span of the users going down constantly, all an app has, is three seconds to make it. Expressive design; one that’s able to grab the users’ attention within seconds, is what your app needs to save itself from instant uninstall. Design is what will create the connection between your app and the user. Congratulations for being able to hold the user, but you have a bigger challenge now - keeping them. Great design is all about predicting the habitual thinking patterns of target users; great design doesn’t let the user get distracted. Elements as simple as displaying a personalised message while a page or page results load, can be a saving grace for you. Yes, it’s a part of design. The most famous example is the images of Amazon’s employees’ dogs appearing whenever there is a delay in loading results. The biggest function of design is to fulfil the purpose that a mobile app maker has at hand. Suppose, it is a fitness tracking app that you are building. Design is the visible part that will support the functionality. Colors, fonts, user flow, accents, tones, screens, etc., will be designed such that they make the fitness app look and feel like one that your target audience finds not only useful but also interesting. Believe it or not, good design almost leads the user by the hand to make a decision in your favour. Any mobile app development company of a decent standing knows that user experience design dictates users’ actions and reactions in relation to the mobile app. Making decisions like choosing an option, completing an action, or even giving permissions, is made easy by good design. In the absence of intelligent design, for example, host of permission messages before one can start using the app can be one of the biggest reasons why your app is uninstalled. Last, but not the least, the design of your mobile app sets you apart as a brand. Look at Uber, WhatsApp; Instagram, all have made such big names for themselves not because they come with large fundings, but because they have terrific design that users love. Each carries its brand’s unique signature. Ready to make a mobile app? We’re sure design would be the primary focus this time. Robotic Process Automation All Set To Drive The Health Care Industry ?? Every year as the number of patients increase, the healthcare industry, especially the traditional ones are facing a lot of challenges in managing inventory and paper files. Billing, discharge and claiming procedures have become very lengthy process that, lowers customer satisfaction levels. The hospital industry is currently going through a turbulent stage as most of the traditional hospitals are running on loss! Most of the hospitals are trying to find out solutions for this cost and time overrun. A lot of non conventional and online services have placed health care centers with a traditional set up in very challenging position. Cutting down on operational costs and bringing up the quality levels are the main concerns faced by hospitals. The hospital industry is estimated to possess a thirty-six percentage potential in automation. But, a peculiar factor is that most of these hospitals were very much reluctant to make investments in RPA tools for areas other than treatments like claims, medical records and bills processing. But, the current situation has forced the healthcare industry to shift towards robotic process automation to provide efficient, trigger growth and diminish those challenges. Robotic process automation in health care can be employed not just for treatment and diagnostics, but also for the front end, managerial and decision making roles. In short, more than one-third of the work done can be automated! Making an investment in technology would help in providing high quality and efficient treatment at minimal costs. One of the main areas that require automation is indeed in the digitizing and management of records. Majority of hospitals are entirely dependent to store medical documents in physical hard copies rather than getting them stored in a digital format . To convert all these paper documents into a digital format by manual data entry is indeed a tedious task. Forget about the time taken for this process ( it might take ages! ),but the main issue involved with this process is that it is prone to errors. And these processes if done manually, would distract the focus of staffs from respective patients. Inventory management is yet another aspect where you will find an intense scope for RPA in health care. Let us check out few robotic process automation cases. Most of the items like syringes, surgery gloves etc. are ordered and stacked based on the demand forecasting done with respect to the past data and estimated number. Nearly twenty percent of the items stacked went unused, inventory charges hence would rise up. Implementing RPA would help to get a grip of the situation and streamline operations, amp up transparency and boost efficiency. Premier robotic automation companies in India like Synlogics are coming up with personalized solutions to meet the demands of this industry. Hospitals can depend on such firms or top RPA vendors to meet their demands. Implementing RPA tools in back-end jobs would help in eliminating delays and interruptions. In the case of middle-end jobs, if RPA is implemented it would get the insurance claims processed in no time, including the formalities like eligibility check, data verification, and resubmission of claims. The functioning of hospitals is very crucial. It is essential to solve and counter all the disruptions for hospitals to function in response to the needs of a society! In the current scenario, we find robotic automation companies, automation and artificial intelligence extending its presence to almost all industries ranging from education, public sectors, hospitals and what not! But it seems quite peculiar to realize that IT processes make minimal use of these automation tools! Sounds interesting right? But yes, it is true. IT teams are still stuck in the traditional phase where they still use manpower to do mundane, tedious and time-consuming tasks. RPA has a huge untapped potential in the IT sector, other than helping to tackle operational challenges they would definitely improve the efficiency of processes. Firstly, the activity’s accuracy can be enhanced. Employment of RPA would reduce service gaps by improving the quality and helps in minimizing human errors and deviations. RPA tools improve the overall productivity of the system, speed is also increased thanks to automatic reporting. These RPA tools interpret and automate workflows,improves scalability and preserves flexibility. Increased auditability helps in attaining a control over tasks that are highly labor intensive by auditing them. Let us explore a few robotic process automation cases. We know how recurring these password reset process requests are, in nature. The password reset requests are either urgent or non-urgent. More than ninety percent of these reset processes are automated in nature. If the request for a password reset, is found to be urgent, it is taken care off by the Global desk, otherwise, in the case of non-urgent case, the tasks are basically stacked into a queue. From this queue, the automated robot does the reset process by accessing the directory. Every month a robot handles around six hundred tickets, that replaces nearly hundred and twenty hours of labor. RPA enables quick creation of multiple new application program interfaces. There are several different units of the information system which includes a collection of all those ERP, databases, Cloud-based storage applications, virtual tools, office tools, and web applications. The data needed from all these applications are screened and projected at a single user interface. Robotic Process Automation tools help to facilitate employee onboarding process. These robots use the onboarding templates and gather all the relevant information. Based on the nature of the service request, like if this request is a non- urgent one, then it generates an end of day report. After the account is created, these robots then change the status to solved. Finally, the service team will close the case after checking the working status of the account. Here too, the urgent requests will be routed directly to the service desk. RPA tools are becoming very popular in the telecom landscape. The back end tasks which are very much recurring, protocol based and bulk in nature are automated by these tools. A few reliable and efficient robotic process automation companies in India like Synlogics provide innovative services at affordable rates. In order for a telecom firm to grow, it is very much essential to catch up with rapidly modernizing services and business processes. By the passage of a two decades, it has been estimated that automation would amp up business profitability by nearly forty percent! Robotic process automation, a combination of automation, artificial intelligence and screen scraping technologies would help in simplifying and breaking down complicated tasks that would otherwise takes ages to be done! The main aim of this robotic process automation is to perform these repeating tasks and improve the consistency and efficiency of these tasks. RPA in short removes the robotic nature out of human, so that staffs could spend their time in doing tasks that would involve a lot of thinking and decision making! Every business would have its set of processes it had been following for years, but there is a question as to how efficient these processes are. Identifying the current processes, alternatives and selecting the most optimal process, is infact one of the major scenarios where automation is employed. RPA is very much scalable and reliable. You can implement RPA to the existing processes and streamline these tasks for the best. Business process management basically deals with screening the various tasks and processes and identifying the tasks that could be operated. For ex. Document handling and management,shipments, workflow management etc. Data entry is another ineluctable tasks. No matter what the type of industry is, it is very essential to keep your firmâ€™s databases updated and accurate, in order to keep pace with the changing trends and needs of the customers. But, manual data entry is very much a mundane tasks. Not just it increases the resultant errors but also increases the fatigue experienced by the staffs in doing recurring tasks. Employing robotic process automation tools would help in boosting the efficiency and optimizing the operations while keeping the costs to minimal! Customers are in fact the soul of a business. Firms allocate call centres to deal with the customers complaints and for support. But, we know how complicated and recurring it is to handle each of these calls! Starting from attending the call, the customer care executive has to check in for the account details from the database, enquire about the issue, simultaneously note them down, has to move between different networks and systems to troubleshoot the error, analyse the issue and then do the necessary! We can estimate about how long each of these calls take up, but the longer you take to answer and get to the needs of the customers, the lesser will be the the satisfaction! Employing RPA tools in customer service would relieve the executives from entering the same data to different systems, and automatically updates the databases. Robotic process automation would help in improving your businesses in a lot of ways, so the fist step to do is identify the processes that can be automated and reach out to leading RPA consultants, like Synlogics to enhance your businessâ€™s productivity and stay ahead of the trends! Ideally, a company that has two or more employees carrying out repetitive task, which can generate structured data, makes for a good business case for RPA, explains Rod Dunlap, Senior Director, RPA for Insurance at Capgemini. The very basic requirement is that the process be rule-based and produces structured data (in other words, can be documented) can be automated. Added to this is the premise that the nature of the processed must be repetitive. You, however, cannot choose process that solicit human intelligence and the ability to make observations and decisions. Figure out how fast you want to go about deploying. Do you want it done right away, say, in a matter of weeks? Or are you willing to take it slow, so that it doesnâ€™t create consequences that you may not be ready for? An extremely important factor on which the speed and the success of deployment would depend, is the training time. Consider the skill and the openness of the labour that will be using the RPA tools that you choose. The time needed for training is something that will matter remarkably for automation to be successful for your business. Well, while the advent of intelligent automation is inevitable, RPA is not phasal but fundamental. For mechanical tasks tasks that are abundant as of now and will be, robotics process automation is the technology that caters. Itâ€™s a matter of time (a time when AI will be the new normal) that intelligent automation will offer solutions. Till then, RPA is the certain answer. RPA For Making Healthcare Sector Processes Seamless And Efficient. Automation has become a buzzword in the current scenario. A lot of sectors, from financial sectors, government, and retail have triggered up in efficiency by using robotic process automation. But in comparison to these sectors, it has been observed that in spite of its promising potential in the health sectors, these tools aren't yet utilized to its fullest! If we speak about the ever-evolving healthcare sector, it would be quite a misconception if you believe that the need of customers is being met by these industries. Thanks to the increased demands, accumulation of errors in the tedious tasks, it is quite a challenge to provide an absolute and satisfactory service. Now let us take a peek at the various challenges faced by hospitals across the world. Pre-registering patients details, entering the details of patients checked in and checked out, regular follow-ups, managing claims and generation of patients statements are a few from the list. And exactly this is how you ought to use Robotic process automation in healthcare. But, if you critically examine all those challenges, you would understand that these jobs are highly tedious, mundane and time-consuming tasks. Employing RPA and automating these tasks would help you treat the patients with utmost care and reduce errors. Now let us take a look at where exactly you can employ RPA and how you would benefit from it. We know how repetitive and time-consuming is this medical claims processing task. It is a highly complicated mainly due to its time-consuming nature. This process of managing medical claims involves a series of steps like regular updating of patients information, billing along with the details and clearing these claims and updating the respective status of each patient. Every day hospital staffs perform these tasks, but the monotonous nature and the bulk nature tend to make the whole process slow and vulnerable to a lot of errors, and this is exactly where you can use these tools. The tasks that can be done by automation a matter of few minutes are being dragged down to hours! These are a few sets of tasks that, if automated would get the staffs to concentrate more on the health care. RPA processes are highly reliable and scalable. One of the major concerns faced by the hospitals is that, if automated, does it cause disruption of the existing services? No, you just have to approach leading RPA vendors who would make the process of implementing RPA seamless and easy! Now let us explore a few advantages to using RPA tools. It cuts down redundant operational costs. It boosts the cycle times and efficiency. Helps in saving costs and achieving a high throughput. Higher levels of consistency are promised and these tools would work round the clock. Planning to make a shift to automation?? You are never late, Get in touch with leading Robotic process automation companies like Synlogics to make the most out your firm! Email Automation - A Necessity or A Convenience? Out of the billions of emails being sent and received each day, donâ€™t you think it is quite tedious if you handle all those emails by yourselves? Well, then your major agenda would zero down to reading emails and replying to them! Now let us take a brief look at how automating emails would help you simplify the processes. We receive tons of emails every single day, from customer complaints to notifications when an order is ready, it becomes an impractical task to personally reply and deal with all these mail each day, and no matter how efficiently you try to do these tasks, you might end up causing a few errors! And the worst thing is not just the time consumption, these errors might end up in causing delays and brings down customer satisfaction. Now let us check how email automation using Robotic Process Automation and process automation would help you! Firstly, you can just create and end sessions at a very quick pace. Secondly, it deletes all the redundant emails from the respected servers and minimizes the error associated with manual work. And last but not the least it helps you to organize, download and archive emails according to the category they belong to. What all are the tasks that you can possibly automate?? Well, to start with it is the customer service and the support desk that is of utmost importance. The system would be set so as to intercept the requests, divide them according to category and do the necessary action automatically! Interesting isn't? The best part is that, if you automate these jobs then you can spare your time to concentrate more on complicated tasks. The financial department would receive plenty of invoices in hard copies and would take a lot of time to get processed, but setting up an email inbox for the same would not just simplify the process but the mesh between document management and finance department would save a lot of time. A lot of customers would send emails to seek details about their order, refund status and shipment, and delivery information. Automation would be just perfect to match the order to the information and answer the respective customer. You would receive excel files, word files or even CSV which would have details of orders, and you would have to update this information to your database. Rather than manual data entry screen scraping techniques used by robotic process automation would help you update the order details at a quick pace with minimal errors. Reports are very important in a corporate environment and preparing a crisp report including all the details is another task. These RPA tools would help you get your important documents printed in no time, even though all companies are on the verge of digitization it is equally relevant to maintain these files. You can always check with SynLogics for more details on email automation and implementation! Even though the whole concept of Robotic Process Automation deals with minimizing the costs and boosting efficiency if we analyze the practical side, we need to accept the reality that the practical application is still a question. But, there are a few firms in the financial sector. Financial services firms using RPA have started including automation by using chatbots and also in gathering accounts related information. The firm had released the works of its underwriters by automating issuance's and hence getting them to devote most of their time to complicated policies. The automation has been developed and implemented by Capgemini. The system was implemented in five countries, and there has been a fifty percent reduction in cost. Kryon systems, another provider of RPA tools has implemented a system to shorten down the time taken to process claims in hours which had earlier taken a lot of days to get processed! The whole process of identifying a client by name, then going through their respective bank websites used to take four days in total, not only had they boosted the efficiency but saved a lot of employee hours. A lot of banks have come forward to be a part of this revolution. A lot of banks in Canada are and financial services are implementing RPA into their strategies. The Royal Bank of Canada is one of the institutions that have started using chatbots for more than a year of now to improve customer service and responses. In the states too, banks like KeyBank are automating invoices,accounts receivable and optimizing operations. These RPA tools have helped to automate the mundane tasks and thanks to the machine learning technologies, this process is estimated to improve with time. It is not just Europe and North America, rpa tools and automation has been employed by one of the largest banks in Colombia, BanColombia to help them manage the investment portfolio. It helps to get real-time data about the performance of the portfolio with respect to the varying market conditions. The tool was designed to interact and get feedback from clients and is also possess an interface with the stock exchange of the respected country. This has helped the firm to improve its client base, for more consultation services. This digital transformation has helped to position automation as the core of the strategy designed. This RPA service has helped Sutherland to use data effectively in core enterprises. These RPA tools have helped staffs to concentrate more on high-level tasks. Based on a survey, it has been noted that nearly fifty percentage chief financial officers are planning to implement automation to make efficient use of opportunities and are in the verge of adapting themselves to the RPA revolution! Robotic Process Automation All Set to Drive The Healthcare Industry ?? Premier robotic automation companies in India like Synlogics are coming up with personalized solutions to meet the demands of this industry. Hospitals can depend on such firms or top RPA vendors to meet their demands.Implementing RPA tools in back-end jobs would help in eliminating delays and interruptions. In the case of middle-end jobs, if RPA is implemented it would get the insurance claims processed in no time, including the formalities like eligibility check, data verification, and re-submission of claims. Data analytics basically deals with extracting and categorising of behavioural data to analyse the consumption patterns. Data analytics is a tremendously evolving technology that tackles and makes use of statistics to generate meaningful sequence to gain insights regarding all the organisation's metrics. Top analytics companies help to assist up focused and accurate decisions based on the insights. Now the real question arises, are we driving data analytics or itâ€™s the vice versa? The current era is typically referred to as â€œThe age of analyticsâ€, and by utilising the assessment of future trends, you get to take the best decision. Firms can check out the success probability of these decisions and can be more confident, as these decisions are driven by the algorithms, business intelligence tools, applications, techniques, and machine learning. Data analytics is a very promising field, it helps to uplift and transform an under-performing business to a complete systematic success model if relevant insights are uncovered. Premier business intelligence consulting companies like Synlogics help you make the best out of your firm! Now let us explore how data analytics drive businesses. Data being generated has been increased has been increased tenfold due to the high use of smartphones and applications. Adding to Globalization, the click and touch of each client, or prospects are made to data points, thereby giving more insights about user behaviour. In the current scenario, firms hire top data analytical companies and employee in-house data scientists and data analysts to process data acquisition and screen internal and even external sources of data. Thanks to rampant digitisation, corporate data witnessed a decent growth in the past years. Not just huge businesses, retail sector, and financial firms make use of data and technologies. BI and analytical firms have helped businesses formulate new strategies and personalize and differentiate offerings. Operational data is available from all the e-commerce portals. These have helped to efficiently price and compare the offerings on a pre-emptive basis. Infinite recurring tasks are better handled, thanks to the open source frameworks employed. Now, analytics is basically controlled by dashboards and reports analysis, thereby focusing on all the major information regarding key decision-making processes. Prior to the advent of data analytics, statisticians oversaw formulating statistical models as well as behavioural analysis. Currently, referred to as the oxygen of business landscape, data analytics have amped up the quality of services and helped firms withstand competition. Internal data is another crucial aspect that drives and improves productivity. Management can get an idea of where there is a low productivity, and then be more informed about employee activities and standards. In short, Data drives the overall functioning of a firm! What are the best automation tools for testing Android Applications? For any mobile app testing to function efficiently, automation tools are a must. The time taken for testing process and also the chances of human errors can be avoided with properly organized latest automation testing tools. When it comes to go for android testing tools, there are numerous of these available out there in the market. Some of the tools are just new arrivals in the market, some are expensive, while some of them are free. Here we talk about the best automation tools for testing your android applications. Dealing with fragmentation, huge amount of android versions, devices, and custom versions that are currently in use is one of the most challenging tasks. With the SeeTest Continuous platform you can efficiently execute your test on a large number of remote android devices and simulators that are located in the digital assurance labs. Robotic process automation companies in India provides visual tools such as object spy, device reflection, test recorder and many more. These tools will help you develop robust tests. You are equipped to run tests created on any framework such as Espresso, Appium, and any language. You can generate detailed reports that contain step by step data, log reports, screenshots, drive actionable analytics and rapid resolution. When you go for appropriate rpa applications, you ensure safe and efficient testing platform. Kobiton provides you with the full control that is required for the device during manual testing and multi touch gesture support. Orientation and GPS simulations, speaker and camera control, and device control management is something that this tool will provide. For just a small expense, users can purchase prepaid testing minutes that will not expire. For increased collaboration you will find centralized testing history and data logs. The real and latest cloud based devices and configurations required by rpa tools. No credit card required, and so easy to try during the free trial period. With Squish for Android, you can easily solve your mobile test automation problems. There is a dedicated support provided for automated testing for native mobile apps, mobile web apps, and also a mix of both. It has a stable and unique object identification and so it can easily run on mobile device emulators and several real devices without making any changes. There is no need to root or jailbreak the device with Squish. These above mentioned and many other such tools are there at your disposal. However, you need to take out time and compare which is the best for your requirement and only then make a final decision on your purchase for one. What is the code structure like? Every rpa tool is different and it takes a different approach towards designing and construction automation. It is important that the businesses understand the difference between object oriented structured products and functional products. This is important because it will have a significant difference on the resilience, effectiveness and speed of implementation. The code structure consideration with functional products is that these are easy to start and quick to program. The unique benefit is the recorder function and this can help speed up the rpa functions. When selecting a functional product, the business needs to consider the functionalities that it will be used for. Often times the object oriented structured tools do not have recorder functionality and so it will need a great level of design before the actual commencement is done. Even if these tools do take more time in the initial setting, it is still worth because these tools provide great resilience and reusability which will bring good returns on investment in the longer run. The robotic process automation companies in India can help organizations to reduce the end to end build time by allowing multiple people to work on similar type of automation simultaneously. Before considering either one of the approaches, the businesses need to spend time in considering what they would want to get out of their rpa tools. If the tool is complicated and isnâ€™t built for long term then chances are that the returns wonâ€™t be immediate. Super usability and framework is what helps match the organisational needs perfectly. The top rpa vendors will be able to analyse the need of an organisation and help create a sustainable automation engine that provides ease of use and continuous success for any organisation. Why only use top rpa vendors? When implementing your technological innovations you definitely do not want to experience hassles. The experienced professionals will analyze the specific needs in your organization and provide the best solution for the same. The usability will be measured in the perfect sense and the tools will be built for long term use only. So make sure that you spend enough time to compare the available options out there in rpa tools and only then make the right decision. Billing of material is an important document in production and there is a wide list of raw materials, components, and product details that need to be fed in here. In order to get detailed information about this, the employees in manufacturing industry will need to refer and get detailed information about it. Robotic process automation in manufacturing helps companies to achieve this in efficient way. It helps companies to create product in a faster turnaround time, and better data accuracy. Better data accuracy helps companies to get detailed information. Robotic automation companies in India are taking over the billing of material in several segments and as a result ensure that clients get the best. Manufacturing business and processes around it are much harder than what we really think they are. Administration department is most of the times not fully equipped to handle all the process problems. In this regards, implementing the RPA helps industries to get all the production reports, and other work details on time. This helps them take the right decision and manage their business ineffective way. Migration of data in simple words is moving of data from one old system to a new one. Every manufacturing industry finds it as a normal thing. Robotic process automation companies will properly plan and execute well in order to reduce the time and cost of the overall process. As there are several processes involved in data migration, the appropriate RPA tools will help to ensure that the best is delivered at the least amount of time and errors. In manufacturing industry, one of the main aspects of success is the customer support. For an enhanced communication with the customers, RPA can be highly beneficial. There are several ways this can be organized in a way that enhances the customer and service desk. The end goal is to make the customer and company communication efficient. The above mentioned and many more of the benefits are possible with the implementation of Robotic Process Automation in manufacturing industry. All that the companies need to do is to find the appropriate programs and implement the changes in their organization. A proper brainstorming process will help to analyze when and where the RPA applications can be used so that the efficiency level of manufacturing can be taken to the next level. The world is becoming smaller and smaller today, and the technology plays a vital role in the making the development faster. The mobile application development companies USA have developed various advanced techniques which not only extends the facilities to the mobile users but also expands the mobile operations all over the world. The introduction of many automated business processes combined with modern techniques and technologies have changed the face of the young generation. Cloud-based services: The latest cloud-based services which have become part of both the facilities such as mobile and web-based applications which are well-supported by the services which build and utilize application program interfaces (APIs). It is one of many highly preferred technologies which have always enhanced the usage of mobile among the people. The cloud-based applications allow the universal form of data to be stored safely and the data is protected from theft, damages by reducing the unnecessary load on the memory space. The mobile applications are developed according to the customer specifications, the market trends and the use of most up-to-date technologies. Cloud service apps help in storing and utilizing the various business and industry-based information and utilize it in standard multi-format development. The entire set of mobile-based technology is divided into three parts, and it is essential to know which type of technology works better on which kind of platform. Native mobile apps: The mobile apps are designed according to the needs of native platforms such as Windows phone, Apple iOS, or Googleâ€™s Android. Mainly the native mobile apps are based on the specific designs and are developed according to the optimized user experience. The native apps are easy to operate and offer a quick and intuitive response that makes the app highly preferred among the mobile users. Web-based apps: The web-based mobile app development services are highly useful and support many different business operations and are available in the mobiles of various sizes. The apps are responsive when opened in the devices such as laptops, tablets or mobiles of a variety of shapes. Mostly the web-based mobile apps designed in the most populate language of programming. The web apps offer the best of technologies combined with user-friendly options and mind-blowing designs. Hybrid mobile apps: These are the type of mobile applications which are executed using browsers while using it in the mobiles. The hybrid apps are mainly developed in hypertext markup language5 (HTML5) and can work faster. The hybrid apps are highly capable of executing the advanced techniques and enhance the development work. Also, the hybrid apps can be used on a multi-level platform and it helps in saving the resources and also the time. Application development company always offers mobile apps with advanced features and useful facilities which keep changing as the world keeps moving. There are many new and advanced technologies introduced which provide a wide range of benefits to the customers of the mobile apps development industry. Before developing a mobile application, the mobile app development companies should determine the most suitable platform which can work productively and suit the customer requirements. The internet is ruling the world, and the mobile applications are dominating the market today. The various devices such as computers, laptops, tablets, and mobiles can successfully interact with wide range of IoT-services to enable the successful interface. The internet of things has supported the concept of smart homes by offering advanced Mobile app development services. The mobile apps have created a solid foundation in the application development by providing advanced options that bring rapid change in the human life in every direction. The mobile apps have become part of human life and it not only helps a business to stay ahead in the competition, but these applications help in achieving the goals in the life too. The mobile technology has changed the concept and usage of application development. The interactions with the help of Iot techniques are increasing and offering better services which the users prefer the most. The various iot solutions provided are useful in the business development and business promotion activities and help business to stand out even in the cut-throat competition in the global market. The sky-rocketing speed of mobile applications and the easy-enabling interaction with mobile devices, automated machines, and even cars have made the applications popular among internet users. The mobile devices such as smartphones support the advanced features which allow sensors, devices, and applications to be connected by using the information given by the users regarding personal details and location. Tracing the geo-location of the smartphones is easy. Presently we have highly advanced smartphones which offer inbuilt support for Bluetooth, Wifi, cellular and NFC enabled services. Mobile phones are built with default setting and the pre-defined options which fit into the core of ecosystem. The internet has changed the human lives, and it continued to have its impact on the App Development Company. Most of the hotels today are using the advanced features of the internet of things with easier accessibility and safety. Most of the hotels have introduced mobile applications which can allow the customers to access the rooms using mobile connectivity replacing the use of keys or cards, which is supported by sensors along with built-in Iot ecosystem. The advanced mobile applications based on the internet allow the user to monitor vehicles, garage doors from anywhere. The well-built, customized applications serve many other sectors of the society including education, healthcare, banking and the other online business services. Internet-enabled devices have a tremendous impact on the mobile application development. The mobile games have become more interactive and faster. Once the required games are downloaded from the game apps, you can play the game even offline. Mobile apps connected using iot devices boosts the business with faster customer interactions and use of latest technology. The versatile mobile applications are available at the reasonable costs and are available according to the customer need and specifications. It is because of the internet, most of the businesses have started eCommerce stores which is a common trend today. The eCommerce website development has become one of the comprehensive marketing strategies, and it has changed the way products are sold. To build an eCommerce website, most customers take time to decide on the best and most suitable technology for eCommerce? According to the experts, and the web developers who develop the eCommerce websites are the Best Magento developers. Presently, the business development, business modeling, and the sales & marketing strategies are fast changing and the technology that suits well to the changes in business and offers the apt web development solutions is Magento development agency. The buying behavior of the customer changes due to the online availability of the products along with a perfect review of the items as per the customer specifications. The buyer with the help of few clicks can easily choose a product and place the order. The customer can buy any product of his choice from any online store around the globe, and the product will be delivered to the doorsteps within a short span. For the buyer, buying a product online is an enjoyable experience. The customer doesnâ€™t have to waste his or her time while going from one shop to other. The customer gets a wide range of products with the variety of latest designs and most modern trends. Even the cost of the product including the charges for door delivery is very reasonable. For the customers, the online purchase helps in saving money because of the available offers and discounts. The entire eCommerce online store can be designed efficiently in Magento. The most versatile software Magento is an open source web application. It came into the market in the year 2008 when it was launched by Varien which has now become Magento Inc. The entire structure of Magento was based on Zend Framework. Magento organizes the data correctly using dominant database model which uses the entity-attribute-value (EAV). The Magento is based on content management system (CMS), and it offers highly useful tools to design, develop and to manage web store. Magento custom development company offers the most suitable web stores having the most required functionalities and provides the highly satisfying experience to the users. Magento developers with a wide variety of useful applications, help the user to design the most appropriate eCommerce website. Once the customer requirements are discussed only then the Magento development company analyzes the conditions and plan the entire project work with adequately defined timelines and the most suitable methodologies. Most of the functionalities and the applications suit perfectly well for every requirement of eCommerce design. The Best Magento developers offer the best of services while developing the web store application involving planning, designing, coding, developing and testing the solutions at every stage. The Magento development services offer the most practical and workable solution for eCommerce website which makes every customer happy and satisfied. Any web development agency would agree that site speed or optimum load time tops the priority list while choosing the right e-commerce platform. People lead busy lives and most expect the site to load in no time at all. They no longer wait any longer than two seconds for a web page to load. So, the agencies need to analyze the platform speed time and again and implement possible site optimizations for delays. E-commerce companies have to work on their SEO. If your website is SEO friendly then, it surely is godsend. You surely want your customers to find you right-away if they are looking for a kind of product that you offer. When looking for an SEO friendly platform, ensure the use of factors like ability to apply domain name, to add blogs to your website and for customers to write reviews. Several e-commerce competitors havenâ€™t yet taken advantage of the â€œmobile firstâ€ approach. Well, this can surely give you a competitive advantage since most people today are online from their mobile phone rather than desktop or laptops. So, as a small business, you must employ companies that are into e-commerce website development usa to ensure that the platforms you choose allow creating a powerful interface that is mobile-friendly. The platform that you choose must have effective payment solutions for your target customers. Digital currencies like Bitcoin may also interest you if most of your customers are early adopters and tech-savvy. Which integration or plug-in works best for you, will surely depend on your business needs. But, it is crucial to consider this factor before taking the final call. You have to determine the kind of integration tools that you need for an e-commerce platform. Email marketing integration is one of the most effective plug-ins. Cyber crimes are increasing every minute and their methods are becoming sophisticated. To your surprise, it is actually the small businesses that they are targeting more than the giants. So, you need to choose a platform that will help you as an online seller to well execute your responsibility of protecting your customerâ€™s data and privacy. Your e-commerce development company for your website building helps you choose the correct platform with the best customer service options. By the year 2020, with the help of app advertising and stores, apps are speculated to generate revenue of around 189 billion dollars, creating a great opportunity for a mobile app development company to capitalize on. So, yes the mobile app market is undoubtedly booming and that too at an unprecedented rate. Today, people spend most of their online time not on browsers but, apps. So, it is evident that the preference of the users is changing with changing technology and thus, the trends shaping mobile app development are also evolving with time. 2018 waits to become another successful year in terms of the app economy. The mobile app development services are simultaneously waiting to profit from it. But, for that, the companies need to be updated on the latest mobile app development trends that are going to rule this year. This is crucial because today, mobile has become a mainstream channel that companies across industry rely on to reach more and more audience and boost their existing revenue. All android app development company usa need to be at par with the consistent emergence of the new trends. The cutting-edge tools and techniques have to be embraced for companies to be at the top of the game. Artificial intelligence will play a massive role in mobile app development in 2018 and beyond. AI in the mobile space is being bet on hugely by the industry giants. For instance, with AI implementation apps like mobile apps will get smarter and easily determine the kind of music that the users prefer during a certain time of the day by connecting the recognized patterns in artist, style, genre, and tempo of the music. Other mobile apps will also experience a boost in their capabilities. The powerful insights that were earlier inaccessible to businesses will now be provided by AI. This has led the big shots like Facebook and Google to invest in hiring ios app developers who are AI experts. All IoT solution requires a dedicated application that will allow users to manage their smart devices. Thus, IoT will evidently shape the trends of mobile app development. The iphone app development company needs to take note of that. By default, the Internet of Things solution is usually innovative and is often needed to be integrated with niche services and devices. The smart home technology is at a rise this year. The developers need to integrate backend infrastructure and complex mobile platforms for a unified experience by sharing of data between all devices. Both of these are not new to the mobile app development trends. Their use has been particularly revolutionary in the entertainment & gaming industries. Consumers can be highly influenced to engage in meaningful ways. Such is the potential of AR technology and many famed games like Sky Siege, Pokemon Go etc stand proof of it. Smartphones house a huge amount of personal data. No wonder thereâ€™s a need for mobile app security. Thus, more and more mobile app development company will adopt this trend to deliver better user experience with advanced security features.